Stay right on trend this season with the stunning Dena snake print jersey dress! 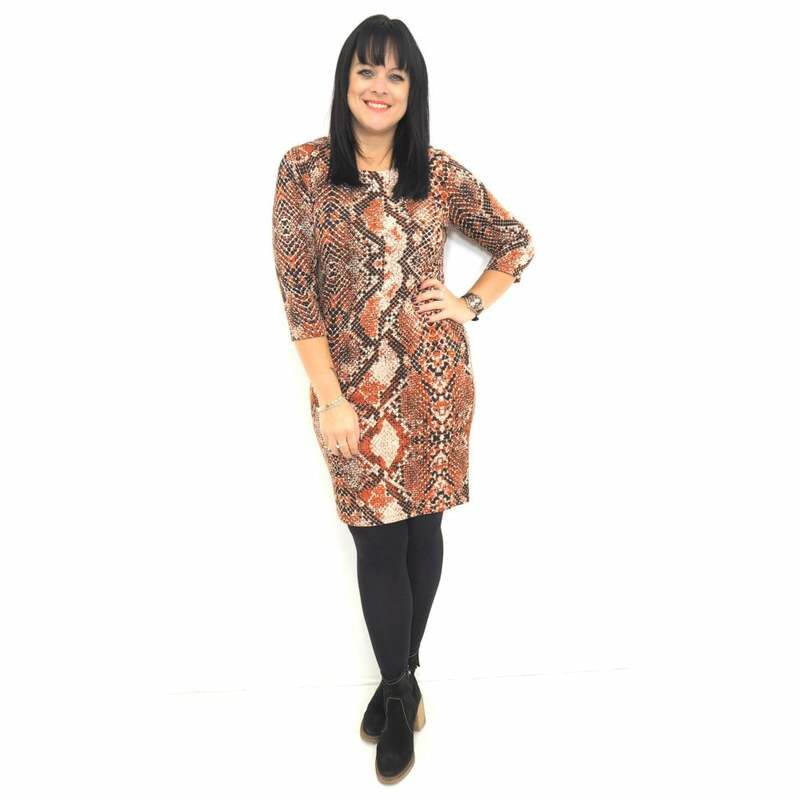 Accentuate your curves with this flattering slim fit dress, featuring an eye catching blue or orange snake print! Great for transitional wear, this gorgeous dress is sure to be a new favourite this season!